Ashok Leyland launched their new MPV Ashok Leyland Stile in the Indian market in July, earlier this year. While this introduction, Ashok Leyland by default entered the competition in the passenger vehicle segment of the country. 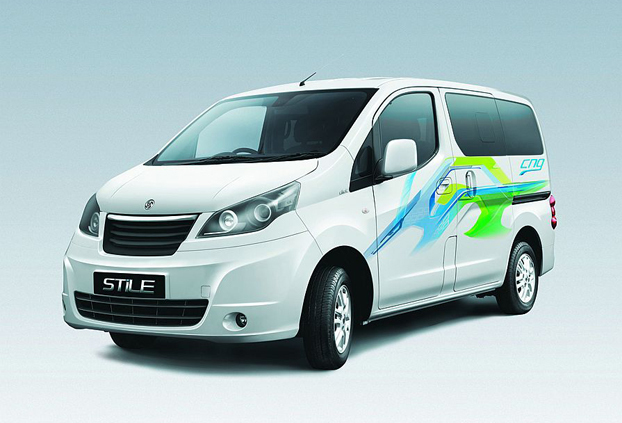 However, Ashok Leyland Stile was first unveiled in the auto expo during 2012. The company aims to extend their portfolio in the light commercial vehicle (LCV) segment too. They are of the opinion that MPV will be ideal for urban and rural areas, hotels, taxi, ambulance, courier services etc. MPV Ashok Leyland Stile is mainly targeted for commercial use. The look, style and dimensions resemble Nissan Evalia. However, a better change in bumper, headlamps, bonnet, wheels, grille etc. is expected. The interiors are furnished will with dual tone, sliding doors, low floors, wide seating etc. Ashok Leyland Stile is powered by the 1.5-litre diesel engine or as the company calls it DIET. It produces 85 HP and 200 Nm of torque on ride. The engine is mated with a 5 speed manual gear box. It gives an ARAI certified mileage of 19kmpl. The safety and comfort features are almost similar to that of Evalia. It has power windows, AC, power steering, music system, comfortable seats, remote central lock, child lock, fog lamps, good suspension and braking to name a few. It has both diesel and CNG options. The price of Ashok Leyland Stile in India is kept at 7.49 lakhs.